The Anapji river in Gyeongju. Bulguksa Temple is considered the place for buddhist art. 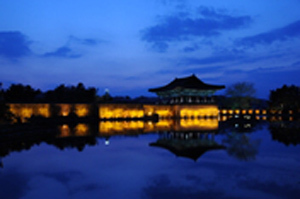 Gyeongju is a city on the east coast of Korea with a significant connection to Korean history and culture. 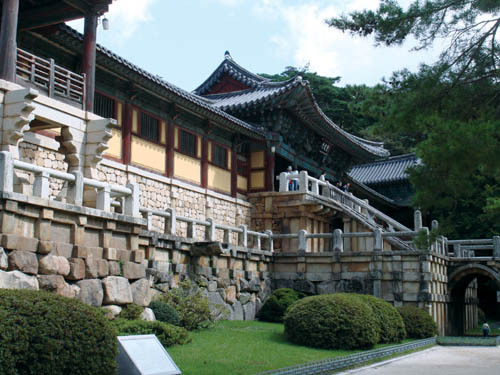 It was once the capital of the Shilla Kingdom, and is full of architecture dating back to the Joseon dynasty. The Gyeongju National Museum holds more than 16,000 artifacts, and the city itself houses 31 National Treasures. There are also many royal tombs, from which priceless artifacts like gold crowns, have been excavated. There are great restaurants galore in this city. Here’s a handy guide to sights in Gyeongju. Traditional temple stay or luxe hotel set-up, take your pick. Check out Visit Korea and Gyeongju Tourism to find out even more.